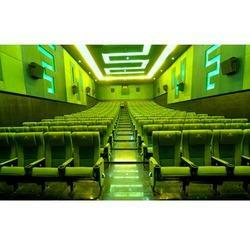 We are leading manufacturer, supplier and exporter of a wide array of Auditorium Seating Chairs. These Auditorium Seating Chairs are highly demanded amongst our clients for its long lasting performance and cost effective nature. Additionally, these Auditorium Seating Chairs can be availed at very affordable rates. With strong commitment to quality we manufacture, supply and export a wide array of Auditorium Theater Chairs. These Auditorium Theater Chairs find their wide applications in different conference halls and in schools and colleges auditoriums. These Auditorium Theater Chairs are widely demanded amongst our clients for its durable and cost effective nature. These Auditorium Theater Chairs known for its high tensile strength and sturdy constructions. Combining technology with innovation, we are engaged in manufacturing, supplying and exporting a wide array of Auditorium Chairs. Our Auditorium Chairs are made using superior quality raw material that are known for its durable and effective performance. These Auditorium Chairs are offered in various specifications and in different styles. Additionally, we offer these Auditorium Chairs at market competitive rates. We are engaged in manufacturing, supplying and exporting a technologically advance range of Auditorium Theater Chair. Our Auditorium Theater Seating are made using modern tools and machinery that makes its more demand able amongst our huge clientele. 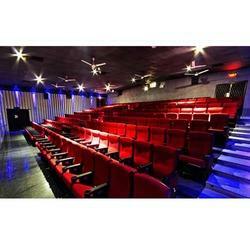 These Auditorium Theater Seating are very comfortable and offered in various specifications and compact designs. 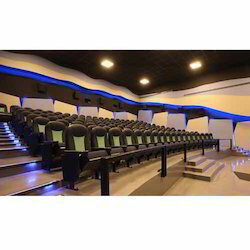 Apart from this, these Auditorium Theater Seating can be availed at very reasonable rates. Endowed with rich expertise in manufacturing, supplying and exporting we are engaged in offering our clients a wide array of Auditorium Theater Seats. These Auditorium Theater Seats are highly demanded and praised amongst our huge clientele as these Auditorium Theater Seats known for its elegant design and long lasting performance. These Auditorium Theater Seats are fabricated using quality material that is sourced from reliable vendors of the industries. Standing on the edifice of quality & reliability we manufacture, supply and export a wide array of Auditorium Seats. Our Auditorium Seats are made using best quality raw material and under the strict observations of our industrial experts who hold vast expertise in their domain. Our Auditorium Seats are offered in different styles and in various compact designs that are very comfortable and can easily be installed. Combining Technology with Innovation we are engaged in manufacturing, supplying and exporting a wide array of Auditorium Seat Chair. These Auditorium Seats & Chairs are made using high grade material that is very durable and cost effective. These Auditorium Seats & Chairs are widely used in conference halls in other commercial establishments. 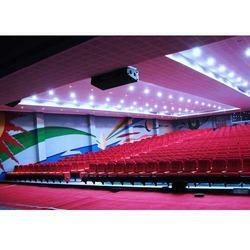 Moreover, these Auditorium Seats & Chairs are offered at very low rates. Looking for Auditorium Seating Chairs ?